(US News) by Arthur Murray. Since at least the turbulent 1960s, student activists have a history of promoting change, both in U.S. society and overseas. Protests on college campuses have been common, but high school students also push for change and advocate for causes. In addition to leading social change, student activism can earn high schoolers scholarships for college. Here are several scholarships that benefit high school students supporting causes. Some awards are limited to students in specific geographic areas. Cyberbullying has become a huge problem among internet users, but many students are fighting it. The Delete Cyberbullying Scholarship offers a $1,000 scholarship to high school students – as well as college and graduate students – who demonstrate their commitment to stopping cyberbullying. Applicants must submit a 500-word essay that either addresses why it’s important to stop cyberbullying or how they have been affected by cyberbullying. Applications are due by June 3 with winners notified by the end of July. But bullying isn’t limited to the internet. The Carl Joseph Walker-Hoover Foundation provides $1,000 anti-bullying scholarships to high school seniors who demonstrate efforts to combat bullying in their schools. The foundation and award are named for an 11-year-old Massachusetts student who killed himself after becoming the target of repeated bullying. The scholarship was not active in 2016, but future scholarships will be offered through the Community Foundation of Western Massachusetts, beginning in 2018. Monitor the Community Foundation’s website for updated application information. For students advocating on behalf of the lesbian, gay, bisexual and transgender community, the Chely Wright LIKEME® Scholarship provides $500 scholarships to selected high school seniors who advocate for LGBT issues, including teen bullying and anti-suicide projects. The award is named for a country music performer and gay rights activist. Recipients are selected based on their leadership and community service, financial need, essay, academics and future goals. Applications are due by May 31. Charlotte Pride, an organization in Charlotte, North Carolina, offers Charlotte Pride Scholarships up to $2,000 over a four-year period to high school seniors as well as college students from 16 counties in North and South Carolina who demonstrate service to or a desire to serve the LGBT community. Applicants can be LGBT students or straight allies. 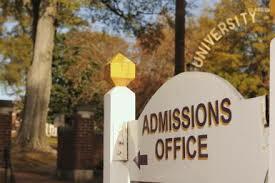 The scholarship committee will also consider applicants’ GPA and test scores. The deadline to apply is May 15. Conservative-minded students may want to pursue the GE-Reagan Foundation Scholarship . Recipients receive $10,000 awards, renewable for up to four years. The scholarship is open to high school seniors, who must display leadership, integrity and drive as well as support citizenship. According to the scholarship site, applicants should also support the former President Ronald Reagan’s ideals of “personal accountability, tolerance and a belief in the human potential.” The 2017 application cycle is closed, but check the website for announcements for 2018 applications. The Barbara Wiedner and Dorothy Vandercook Memorial Scholarship Foundation gives Peace Scholarships annually to high school seniors as well as college freshmen who show involvement in activities promoting nuclear disarmament, social justice and peace and conflict resolution. Applicants must show evidence of their leadership in activities or organizations in these areas. They must also submit an autobiography detailing their past commitments and future plans along with at least two letters of recommendation from non family members. Winners receive up to $500. Applications are due by March 1 each year. The Mariah Daye McCarthy Scholarship Foundation is dedicated to preventing underage drinking and offers the Mariah’s Challenge Scholarship Program to high school seniors in Butte, Montana, who demonstrate the foundation’s ideals and agree to forgo underage drinking and intoxicated driving. The scholarship is named after a 14-year-old killed in 2007 during an accident involving an underage drunk driver. This year’s award cycle closed March 31, but check back for announcements on next year’s applications. Another organization rewarding students for alcohol as well as drug abstinence is the East Ohio Conference of the United Methodist Church, which presents a $500 Teen Total Abstinence Scholarship to a high school senior who is a church member within the organization’s boundaries. Applicants must submit an essay about their dedication to staying drug- and alcohol-free. Applications for the 2018-2019 school year will be available this November.